Food & Beverage is a critical component of a successful hotel operation. Chesapeake Hospitality has a strong track record of delivering creative, profit-generating innovation in this important area. Our scalable, adaptable food & beverage program can add significant value to your asset. Our experienced food and beverage professionals know how to optimize space, boost efficiency, maximize profitability, and complement the core of a hotel’s business. 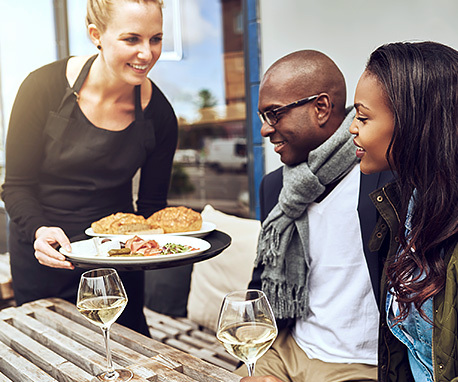 Appealing food and beverage options, strategic cost controls, creative and intelligent design, and thoughtful touches deliver a food and beverage platform that creates a memorable guest experience and delivers a meaningful difference to the bottom line.